Chevy Silverado is arguably the best selling GM truck in existence. Part of the public demand of owning these trucks is the engine. The Generation III Vortec series was issued in the late 1990s. The Silverado 1500 was one of the first installments of this new 5.3L V8 engine. The year was 1999 and Chevy was making some needed changes to its engine platform. The Silverado was the flagship truck and therefore selected to promote the Vortec V8. You can get these Chevy Silverado 1500 5.3L crate engines on sale every day of the year from this website. Don’t wait to find another low price. The 5.3L crate engines that we have give anywhere between 300 and 325 horsepower. This is a lot of power regardless if these engines are put into a pickup. We know that Chevy vehicle owners are big on the amount of available power. We’ve designed our crate engines with all customers in mind. Since we sell to the public and to the trade industry, we know both sides of the auto world. Each side has its own requirements. There is no excuse for a bad engine. Our crate engines are checked and tested before we send them out to customers. One thing about the Vortec 5300 engines is the ease of installation. You’ll find that installing these are a little easier than other GM engine blocks. The smaller design makes them easy to put in and bolt down. This can really speed up the process of building a project car or just replacing an engine. You came here searching our website in search of a great engine and an even better price. You can stop searching online and start searching in our inventory for engines you need. We’re probably the lowest online price that you will find in your searches. Our customers receive our labor and OEM parts warranty with all engines for sale. We believe in the Silverado, but you can use the 5.3L engine however you want. We guarantee that the engines arrive undamaged. What comes from our engine department is exactly what shows up at your location. There are no surprises. We’ve eliminated the usual problems that crate engine and rebuilt engine sellers have to deal with. Our dyno testing is designed to test OEM specs and provide us with accurate reports. It is these reports that are reviewed prior to engine shipments. 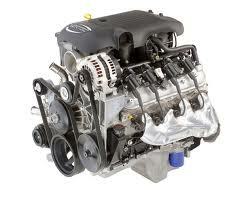 Our crate engines for sale make a great value for any Chevrolet based vehicle. We give a generous warranty coverage period instantly upon your purchase. You’ve found our website on your own. You’ve also searched for a low price and you’ve came up empty handed. We’re able to give out our low pricing if you call our toll free number. It takes only a few seconds to get the price you came here to get. Call our experts now. Let us answer your Chevy engine questions. You can also use our quote form for online price quotes. It’s just as fast and you can use it 24/7 right online.